Continuing our Alt category is the Flipside Strata Wallet that sets itself as the "in-the-middle" of people who use card wallets and people who use money clips. It's simple and lightweight but also carries much more than just a couple of bills. Oh, and in case you've been a victim of unauthorized RFID theft, the Strata is RFID-proof. It just may replace my beloved Louis Vuitton wallet, maybe. The Strata wallet is a step up from the minimalistic money clip but still manages to keep itself low profile. 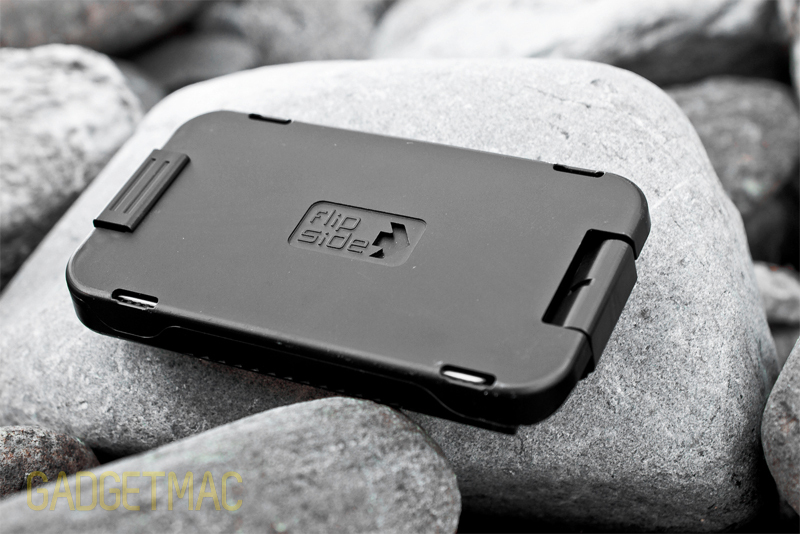 Flipside sent us their 2X wallet earlier and we've had very nice things to say about it. The Strata is like the 2X's much sexier and improved brother, with new features such as a secure money clip on the back, a lock to keep things from falling out, and a smaller profile. For less than $30, the Strata offers quite the bang for your buck. 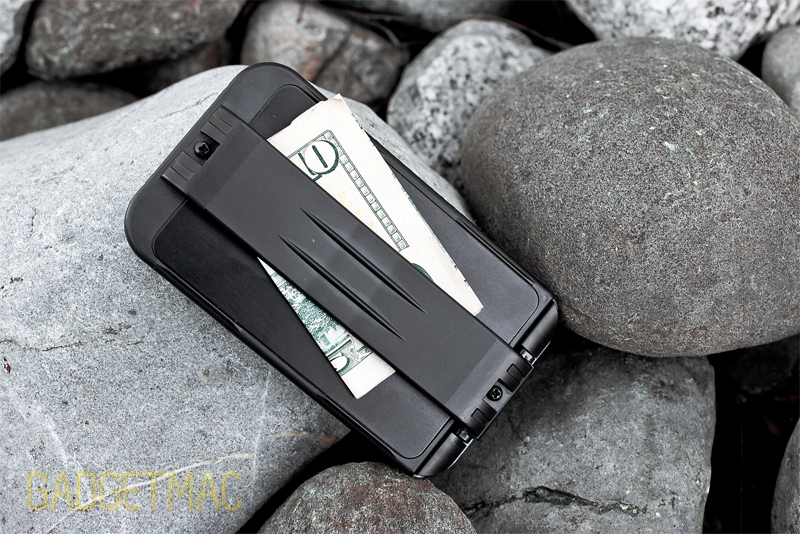 Keeping things simple and clean, Flipside's Strata Wallet gives you optimal storage space in a small package. 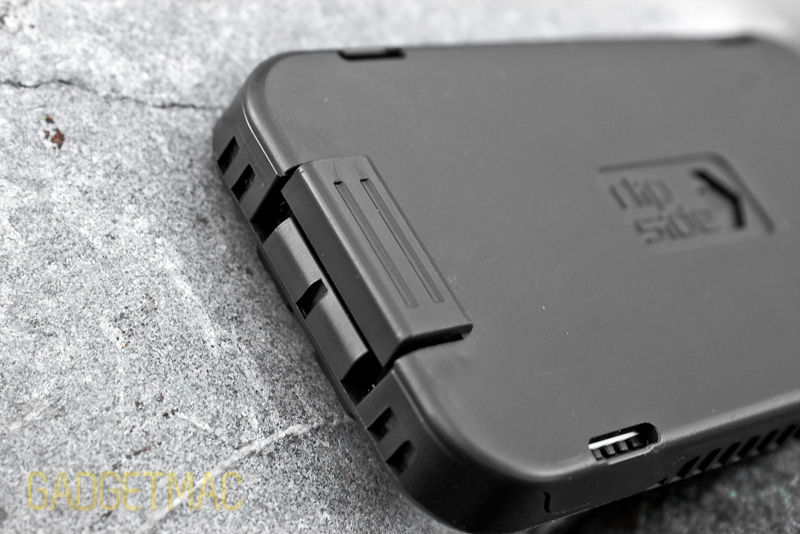 Focusing on just the essentials, you can store up to 4 credit or other cards into the main card compartment and one more into the quick access slot. The quick access slot is typically for your main credit card or ID card, whichever one you use often and need to take out quickly. With a slide of your thumb, your card will come right out. However, even if you wanted, it would be difficult to put more than one into that slot. Moving onto the back of the wallet is the new and improved money clip. It is designed to prevent any loose bills from falling out and preventing you from possibly losing some hard-earned cash as you take it out of your pocket. To securely slip your bills in, you'll want to fold them at least once, or twice if you only have a couple of bills. The clip itself is tight enough to hold quite a stack as it can expand slightly but if you were planning to bringing much more than around 12 bills, you'll find yourself having a problem. The plastic lock clamp has no problem keeping your wallet shut, even if it is slightly overfilled. It has a satisfying clicking sound whenever you lock and unlock it which helps you know whether or not you clamped it down fully. The overall quality of this wallet is satisfyingly well-constructed. The plastic pieces are secured together with screws but the hinge that connects both of the pieces together has a slight wiggle which isn't a problem security-wise but is noticeable. 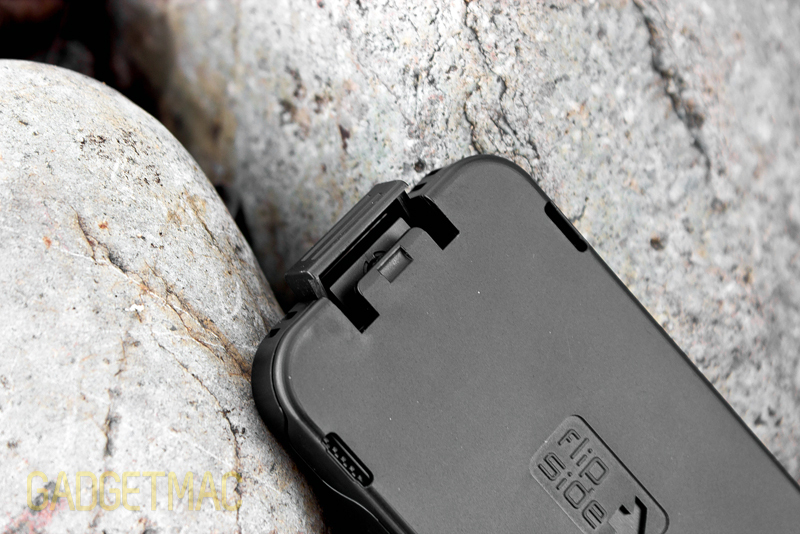 The hard plastic is an issue if you typically put your wallet inside your back pocket. You'll receive an unpleasant sharp dig into your cheek (not talking about your face) if you forget about it as you sit down. The interesting feature that the Strata wallet boasts is its RFID security protection that prevents any unwanted RFID theft. For people unfamiliar with what RFID is, it stands for Radio-Frequency Identification. Within RF-enabled cards such as credit, debit, or even government issued ID cards is chip which responds to a specific radio frequency. With the right frequency, thieves can then steal your personal information and make their own "clone" to pretend to be you. RFID cards have yet to become a widely prominent technology, but for the early adopters, the Strata is a nice investment for some extra peace of mind. 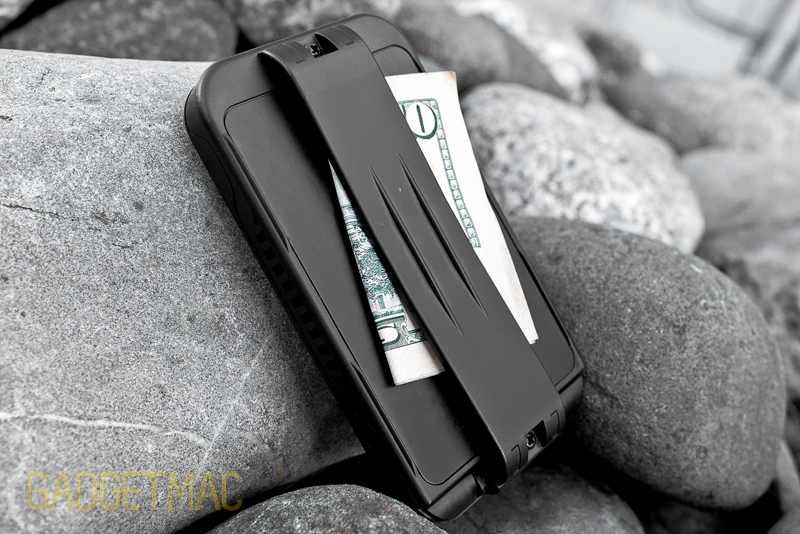 As a functional and simple wallet, the Strata is an excellent accessory to hold your essential cards and some cash. Available in Black, Grey, and Green, the Strata is not anything fancy or flashy, but for the minimalist, it could be a nice choice. The additional RFID security feature is also nice to have. Personally, the idea of having a hard plastic wallet does not really appeal to me and I will be sticking with my traditional leather wallet instead.